Our future medical professionals rely on body donations to learn human anatomy first-hand. 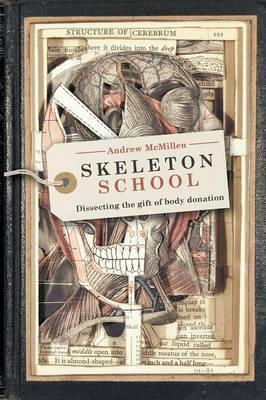 In Skeleton School, award-winning journalist Andrew McMillen gains unprecedented access to the anatomy facilities of one of Australia's leading medical schools to report on this closely guarded world. McMillen explores the philosophical and scientific aspects of body donation, as well as how students approach the task of dissecting their fellow humans. He delves into the emotional complexities of this remarkable gift by speaking with families of donors and attending the university's annual Thanksgiving Ceremony, where donors are publicly honoured. Skeleton School is a timeless work of immersive journalism that examines these unique learning experiences in unflinching detail. By viewing death as a beautiful inevitability, rather than a topic to be feared and avoided, McMillen challenges readers to reconsider their relationship with the inescapable.